How Safe Is Your Child? Why is it that we have very strict laws enforcing the use of seat belts for our children? Why is it that the City of Houston has a law requiring the use of bicycle helmets for children? We have laws to prevent children from accessing their parent's guns, laws for limiting the flammability of bedding, and even laws enforcing food makers to tell us what is inside a jar of mashed peas. Mashed peas, right? I’m assuming the answer is safety. We want to make sure our children, those that we hold closest to our hearts, are safe. But where are children most at risk? In cars? It must be. Cars traveling 50-60 miles per hour or more on the streets of Houston is obviously dangerous. On bicycles? A child falling off a bicycle onto incredibly hard pavement not only hurts, but it could be fatal. It must be accidental shootings. Every story of a friend or sibling shot when someone finds an unlocked gun is front page news. Well no, no and NO. Want another guess? According to the Center for Disease Control (CDC), the number one cause of accidental death in the United States in children aged 1 to 4 years is DROWNING. Then why is it okay to put up a sign "No Lifeguard on duty…swim at your own risk," and think, "okay, we have done enough"? How about before we pass the next law requiring a specific helmet to be worn in a football game or one that prevents a child from heading a ball in a soccer game, we seriously sit down and fix what matters most: Drowning Prevention Legislation. In many, if not most first-world countries, swimming is part of the education program that is taught in schools. In some it is even prescribed by pediatricians. How awesome is that? Outside of your own mother, the two leading child development agencies that we listen to for advice on how to best raise our children, educators and doctors, are telling you to do something about it. Why is that not the case all across our country? There are organizations trying to bring this truth to the forefront. One organization dear to our hearts that we financially support is STOP DROWNING NOW (https://www.stopdrowningnow.org/). They preach the message of the SAFER THREE! Safer Water means identifying where the risks are with any body of water (bathtubs, pools, spas, lakes, rivers or oceans) and learning how to reduce those risks. For example, installing barriers such as isolation fencing around a backyard pool would reduce the risk of unauthorized access to the pool by young children. Safer Kids covers the behaviors necessary for both kids and parents to promote water safety. These water safety tips include constant responsible supervision by adults, along with swimming skills attained through ongoing qualified instruction for kids. Safer Response overviews emergency response techniques and emergency action plans as a path to water safety. Learning cardiopulmonary resuscitation (CPR) and first aid, as well as having a phone by the pool at all times, are just a few of the water safety tips covered here. Studies have shown that formal swim lessons reduce the risk of drowning by 88%! Children who have been introduced to a water safety program have a much better chance of survival in the event of a water incident. In fact, along with proper adult supervision, formal swimming lessons are proven to be the best way to protect our precious children! Help us spread the message! If you know someone in high places, tell them this; on average, there more than TEN DROWNING DEATHS PER DAY in the United States! Something has to change! 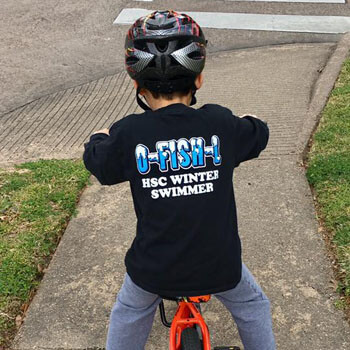 Until the day we are "required" to learn how to swim… whether with Houston Swim Club or somewhere else… let people know why they need to have their precious little ones in swim lessons TODAY!